Officials from the United States and Indonesia met earlier this week under their Trade and Investment Framework Agreement (TIFA), agreeing on next steps for expeditiously resolving bilateral issues and further building their trade relations. US Trade Representative Robert Lighthizer welcomed the shared commitment to intensify engagement under the TIFA. 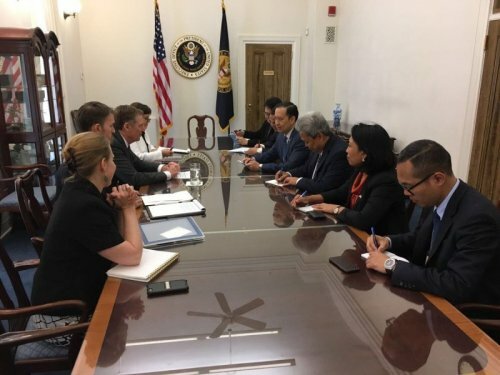 In a concluding meeting with Indonesian Investment Board Chairman Tom Lembong, Lighthizer emphasized the Trump administration’s interest in enhancing ties with countries in the Asia-Pacific region, the importance of addressing outstanding trade issues in the next few months, and the priority of lowering the bilateral trade deficit, the United States’ 15th largest. During the TIFA meetings, the US side outlined the Trump administration’s trade agenda and focus on making concrete progress on agriculture, high-technology products, digital services, financial services, and other issues. 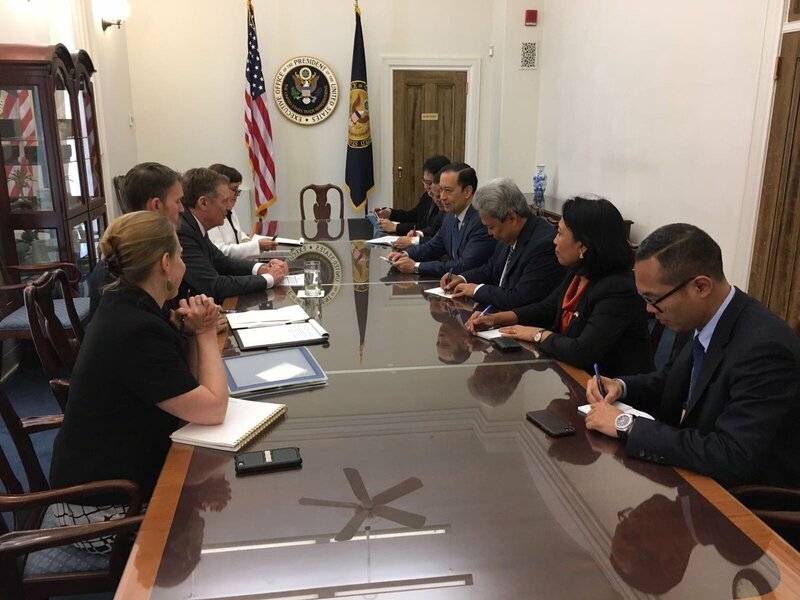 The two countries agreed on follow-up actions on these issues and discussed a work plan for addressing US intellectual property concerns, recognizing the urgency of progress in this area given Indonesia’s listing on USTR’s Special 301 Priority Watch List. The United States and Indonesia agreed to conduct detailed and regular discussions under the TIFA in order to maintain momentum in their dialogue and ensure continued progress. They also exchanged views on regional and global trade developments, including related to the Association of Southeast Asian Nations (ASEAN) and other regional and multilateral trade arrangements. US and Indonesian officials also held meetings with stakeholders from both countries to hear directly from them about key trade issues of concern. The US had a $13.2 billion trade deficit with Indonesia in 2016. Two-way goods trade between them totaled $25 billion in 2016, with US goods exports to Indonesia almost doubling in the last decade to $6 billion in 2016, and goods imports totaling $19.2 billion. US services exports to Indonesia have increased more than 70 percent in the last decade and now total $2.5 billion. Services imports from Indonesia amounted to $780 million in 2015. In 2016, Indonesia represented the 35th largest goods export market for the US.